Wing Zone is West Campus’ newest culinary addition. With 17 flavors ranging from sweet to spicy, the restaurant rivals campus’ favorite-on-Wednesday Wingnuts. With a closing time of 2AM on all but Sunday, delivery service, great wings and a moist towelette with every meal, Wing Zone has what it takes to be a success. 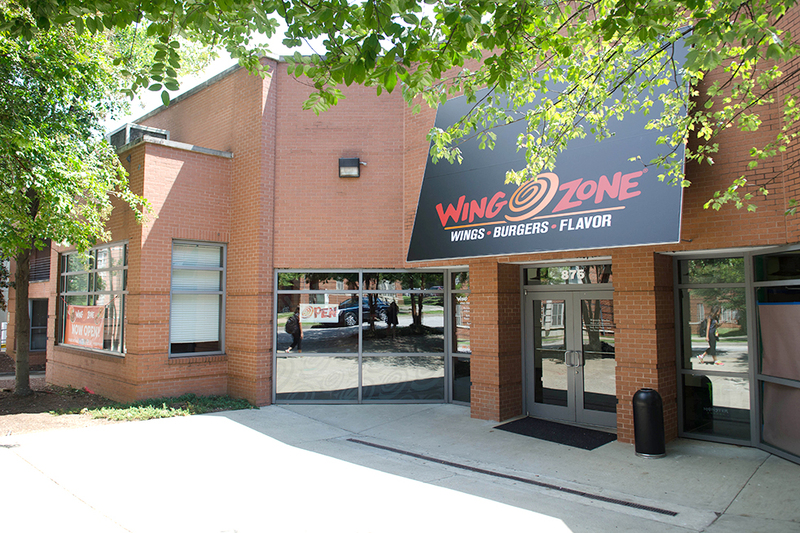 Located next to Curran parking deck and adjacent to West Side Market, Wing Zone is the ideal location for most of the residents on West Campus. Within three minutes West campus dorms, the convenience factor alone should drive sales. For those who live in Center Street—an uncomfortable four minute walk away—or all the way on East Campus, Wing Zone’s delivery service via their app or website is a must to avoid the long hike. The restaurant takes both BuzzFunds and Dining Dollars; unfortunately, the All You Can Eat meal plan does not work here. Wing Zone’s flavors range from zero to four chili peppers of spiciness, with Hot Shot being a three. The spiciest flavor is Nuclear Habanero, but there are seven flavors rated zero out of four, including Sweet Samurai, Lemon Zinger and BBQ Bacon Nirvana, for those who sweat at the mere mention of spice. The location used to be a West Campus activity room with little to no activity ever taking place. Now, it’s rare to see the space empty while it’s open. There are several large TVs, and the high tables are popular for doing homework and studying. Besides bone-in and boneless wings, the restaurant also serves tenders, burgers, salads and apple pie bites.